Pirates prospect Aramis Ramirez time in the minors allowed him to grow as a hitter, his manager at AAA Nashville Trent Jewett told The Pittsburgh Post-Gazette in spring 2000. Ramirez swung when he should have swung and didn't when he shouldn't have, Jewett told The Post-Gazette. "His eyes have gained experience," Jewett told The Post-Gazette. "He has good pitch recognition. He also has strength to all parts of the field. And he has tremendous confidence. That's a pretty good package." Ramirez gained that experience in the minors, having already had some time in the bigs. Jewett gained his own experience to that point all in the minors, in a brief career as a player and longer one as a coach. That same year Jewett would get is own first experience in the majors. He's now in his seventh season as a coach in the bigs, serving in 2014 as bench coach for the Seattle Mariners. Jewett's career in baseball began in 1987, signed by the Pirates as an undrafted free agent out of the University of North Texas. He started in the rookie Gulf Coast League. The catcher hit .231 in 27 games. 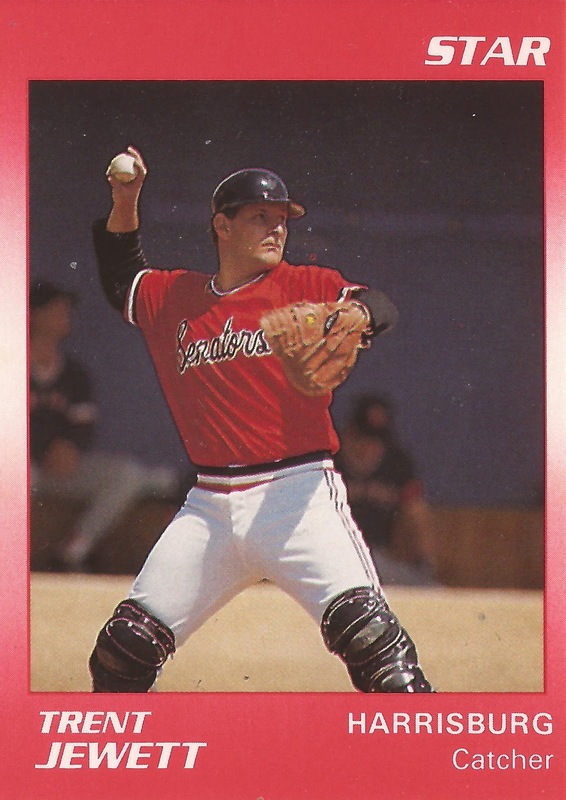 He moved to rookie Princeton and single-A Augusta in 1988. He then made single-A Salem in 1989 and AA Harrisburg in 1990. He got into just 15 games in 1990, ending his playing career short of the majors. Soon after, Jewett started his coaching career. In 1992, he managed at short-season Welland. He made AA Carolina in 1995, then AAA Calgary in 1996. That July, Jewett explained to The Post-Gazette the move of starter John Ericks to the bullpen. "The bullpen just seemed like a better fit for him," Jewett told The Post-Gazette. "He could come in and throw as hard as he could for an inning, rip off a couple sliders, and get out. He really didn't have a set role." He stayed at AAA for the Pirates into 2000, when he became third base coach for the big club. He remained Pirates third base coach through 2002. He then managed largely at AAA from 2003 to 2010. In 2011, he returned to the majors with the Nationals, serving as a major league coach through 2013. For 2014, he was named bench coach for the Mariners. "We are very excited to add an excellent baseball man like Trent to our staff," Mariners GM Jack Zduriencik said in a statement after the hire. "Trent's extensive background as a Minor League manager, instructor, Major League coach and his 27 years of baseball experience make him a well-rounded fit for this position."